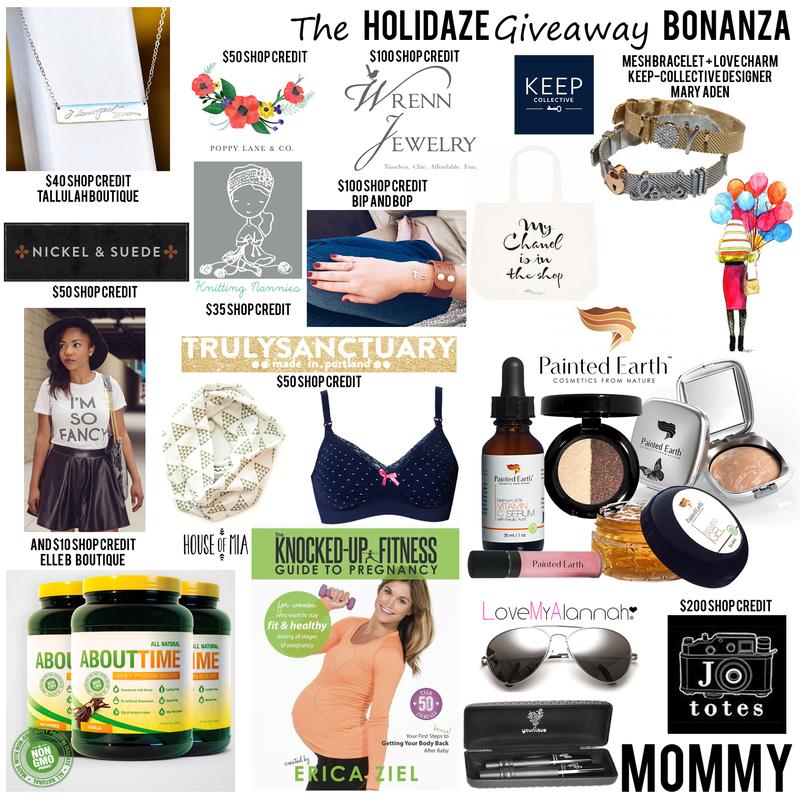 Welcome to the Holidaze Giveaway Bonanza! 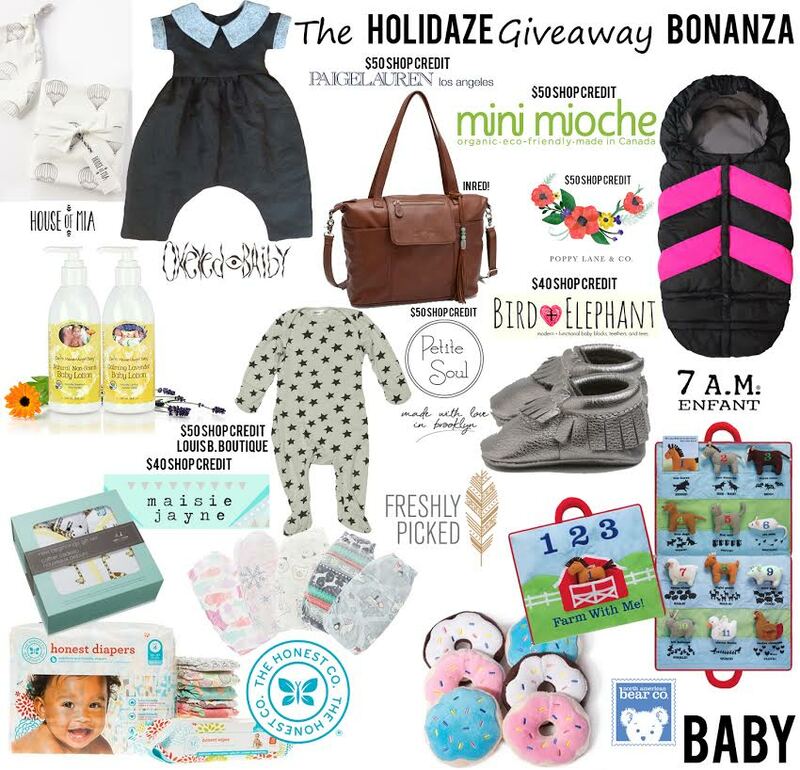 Over $5,000 worth of goods- broken up into 4 giveaways for mom, boy, girl, and baby. That means 4 different winners! Make sure to stop by their blogs, by clicking on each image, for extra entries. 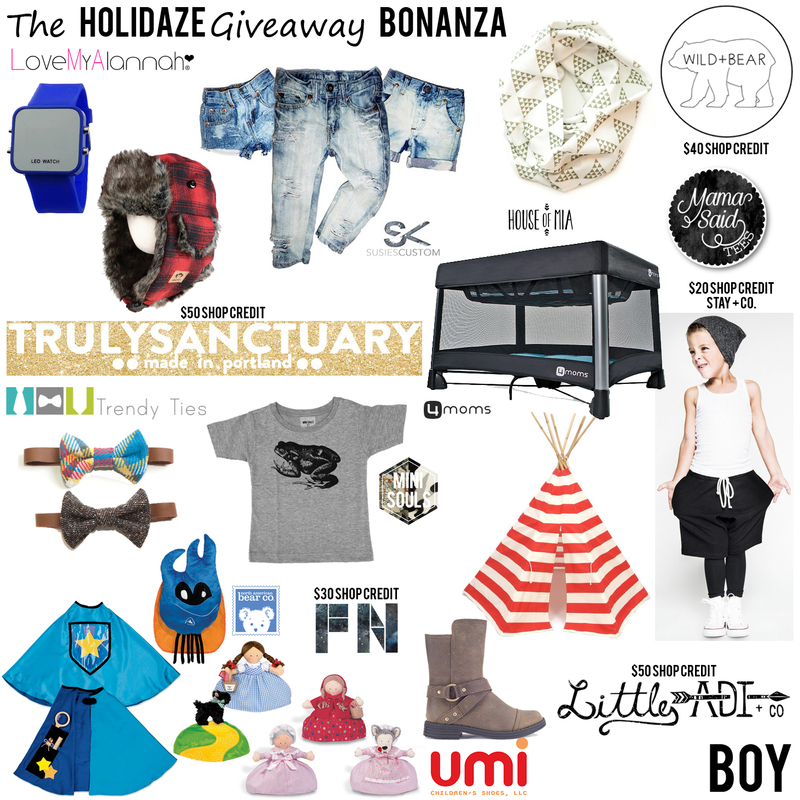 These giveaways will run from December 8th-24th. 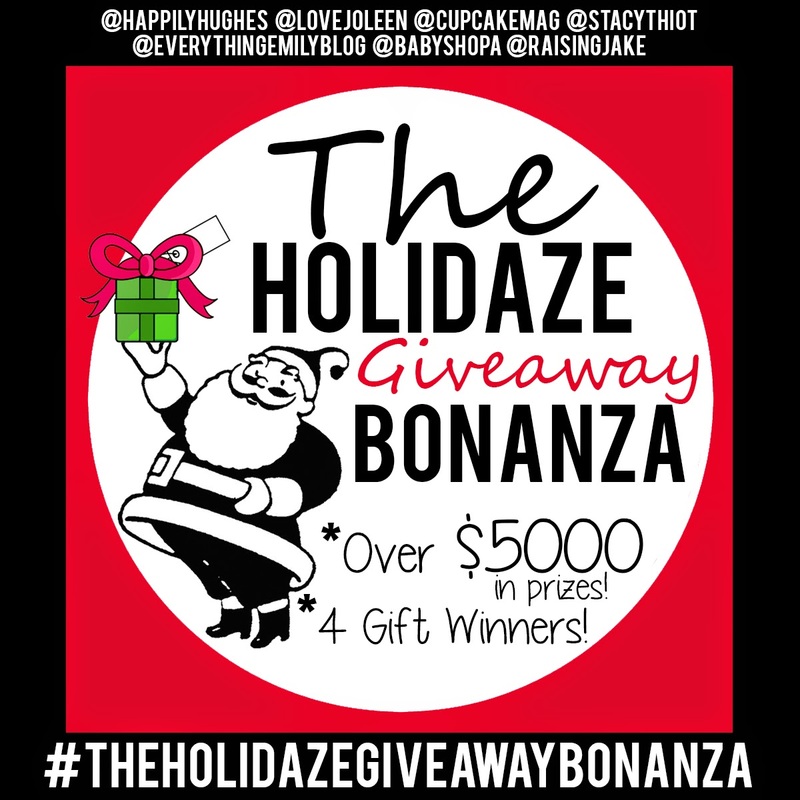 You can enter each of the giveaways, but can only win one. 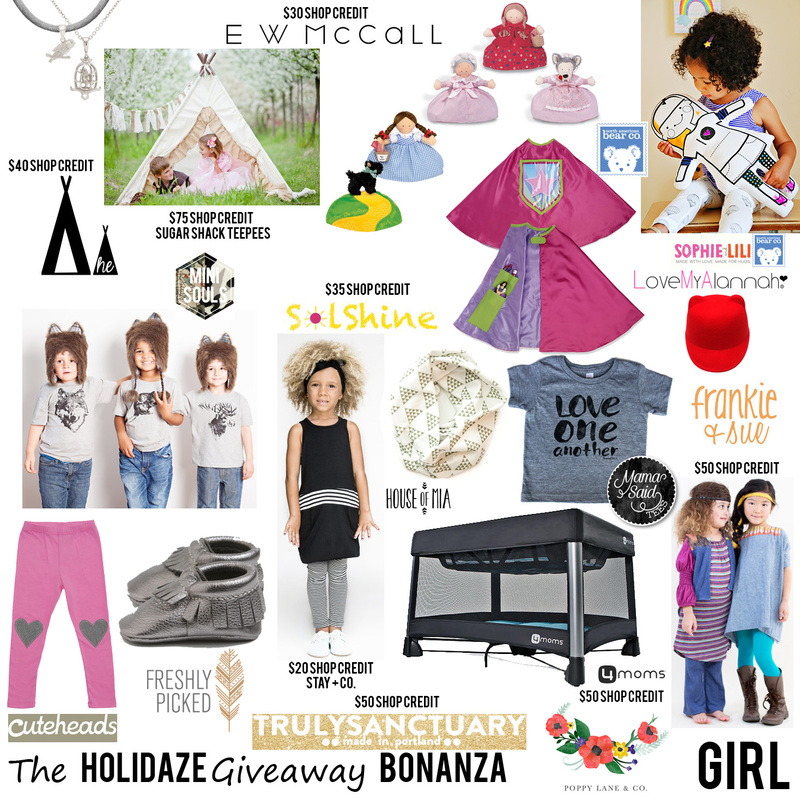 Make sure to SCROLL DOWN to see all the goods we're giving away! 4 Giveaways, 4 separate rafflecopters! Good Luck my friends!!! Secret Pocket Cape from North American Bear Co.
Sophie & Lili Color Me Doll from North American Bear Co.
Little Red Riding Hood Topsy-Turvy Doll from North American Bear Co.
Dorothy/Toto Topsy-Turvy Doll from North American Bear Co.
$20 Shop Credit from Stay and Co.
My Own Monster “Super Hero” Doll from North American Bear Co.
Bake N Shake rattles set from North American Bear Co.
Farm Animal Activity Mat from North American Bear Co.